Introducing Bonds Party! Join in the fun with our lively range of party socks and leggings. 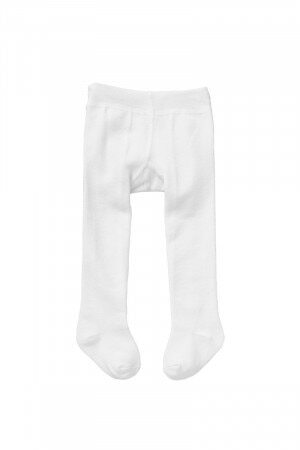 Made from super soft cotton rich fabric and comfy waistband for the ultimate in comfort. They also feature gorgeous frilly lace detailing on the bottom! Cute frilly lace detailing on bottom. Baby Party Tights is rated 4.4 out of 5 by 8. Rated 1 out of 5 by MrsA from Different sizing If you intend on buying the pink and the white party tights, just know that the white are much longer in the legs than the pink. They are certainly not the size they state they are. I’ve had to return 2 now because of this. Rated 5 out of 5 by MelMc from Cute and warm I’ve been buying these since my Bub was born. Cute, high quality and warm. Fantastic under dresses as the weather starts to cool and awesome under onesies and leggings in winter. A must have for all bubs and toddlers. Rated 5 out of 5 by Kylie76 from Gorgeous! I love these tights on my daughter. They look so comfy and soft. The frills in the bottom are just so cute! I’m going to get them in every size possible! Rated 5 out of 5 by DiMel from Bought this for my first granddaughter very happy with the product.